This short walk rewards you richly for only minimal effort and distance, offering a little of everything in terms of terrain and views. 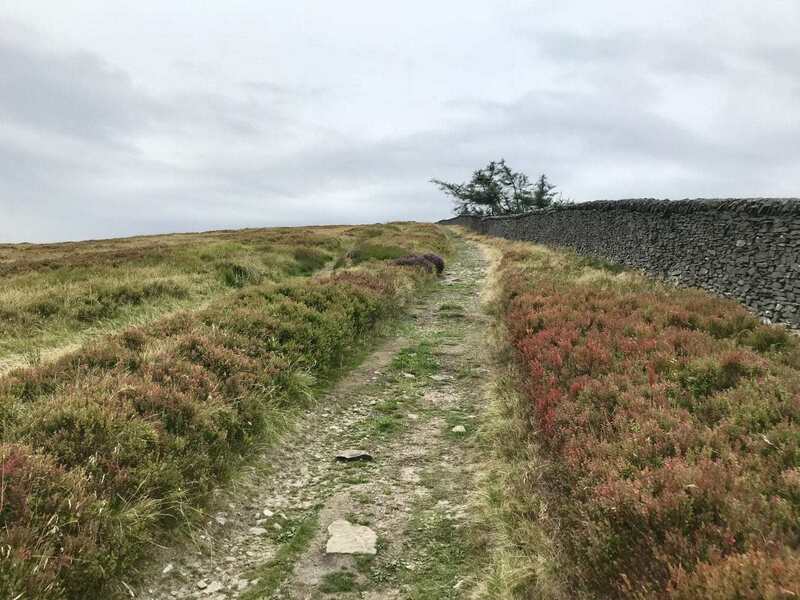 The first half of the route up to Shining Tor and Cats Tor covers wild, open heather moorland, with huge views of Cheshire, Staffordshire, Yorkshire, Derbyshire and into Wales. 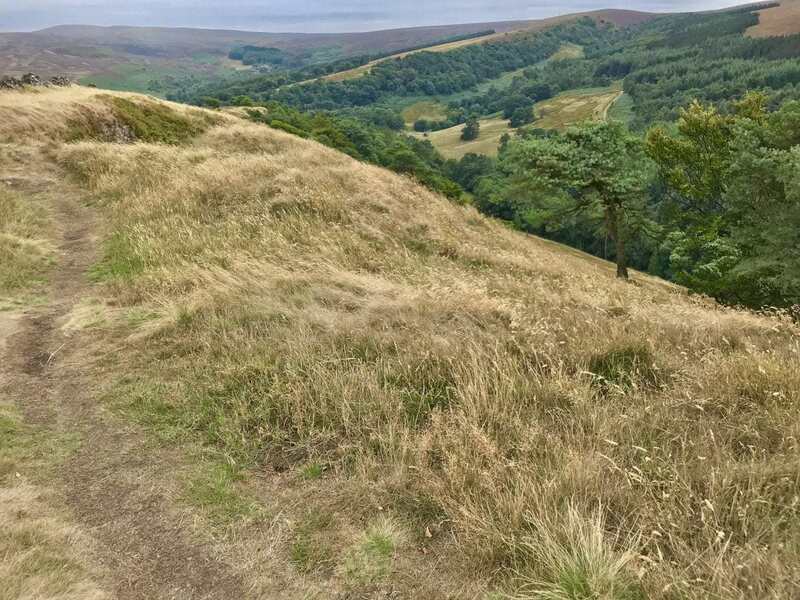 The second half to Foxlow Edge and Errwood Hall takes in beautiful woodland, riverside trails, and even historic ruins. 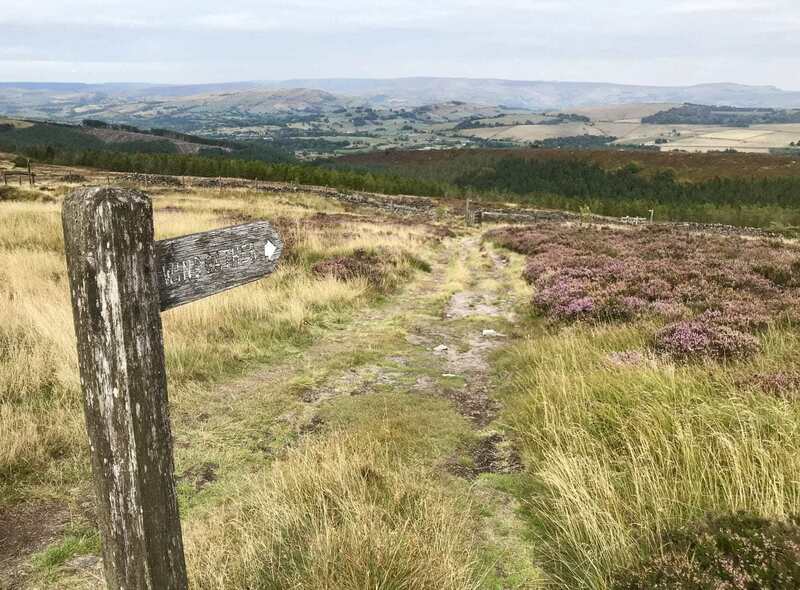 This is a circular walk of just over 7 miles, using clearly-marked moorland trails and grassy paths. The route is undulating but with few steep sections. Parking is free and there is a tea room at the start/end for refreshments. Allow 4-5 hours to complete this walk at a moderate pace, allowing for rest stops to take in the views. Park at the (now closed) Cat & Fiddle Inn on the A537 between Buxton and Macclesfield (SK 00130). From the pub, walk in a westerly direction along the road towards Macclesfield (turning right out of the pub car park with the building behind you) for approx. 200 metres. Please take great care as there is no defined footpath, although it is possible to walk some distance from the roadside on the grass verge. Leave the road at a public footpath on the right hand side (ignore the first path to the mast). 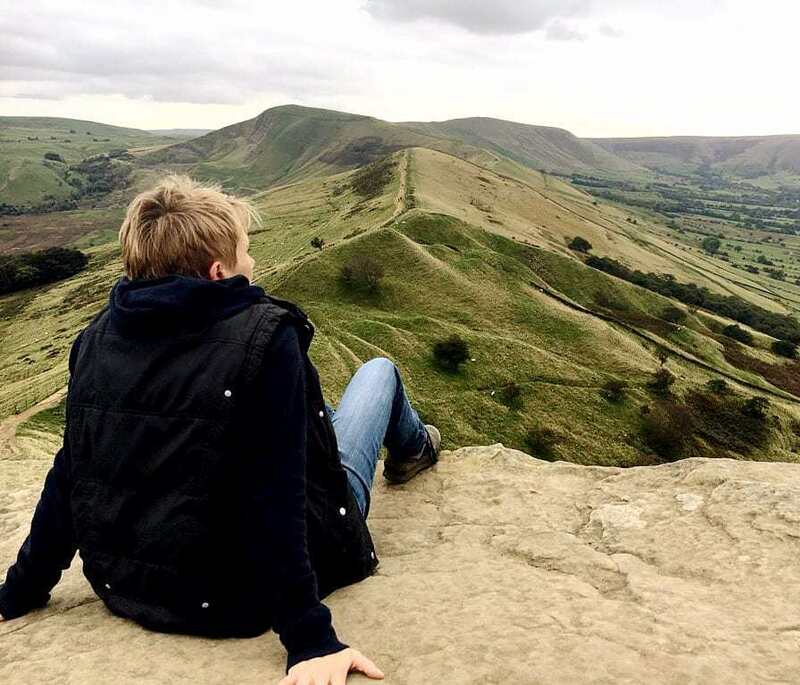 At a fork, take the path signposted to Shining Tor and Errwood. The tea room is clearly visible from here if needed. Continue straight on along this path, following the signposts to Stakeside and Shining Tor. At the next junction turn left towards Shining Tor, following the well-defined path ahead of you uphill. At the top of Shining Tor, you will see a trig point (SJ 99466 73747) easily accessible just over the wall. The views from here across the Cheshire Plains are wonderful, with the conurbation of Manchester clearly visible, as well as the distant bulk of the Snowdonia mountain range in North Wales. At the finger-post here turn right and follow the path signposted to Pym Chair, keeping the stone wall on your left hand side. 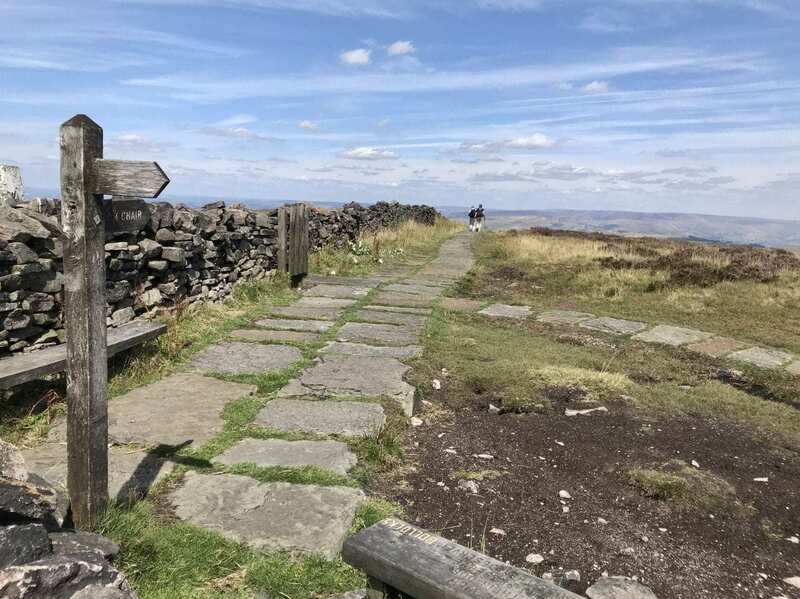 The paved path eventually ends and becomes a grassy track as you continue on to Cats Tor, but continue in the same direction over the moorland, with magnificent views ahead of you to South Yorkshire. Watch out for another finger-post, and this time turn right to follow the path signposted to Windgather. 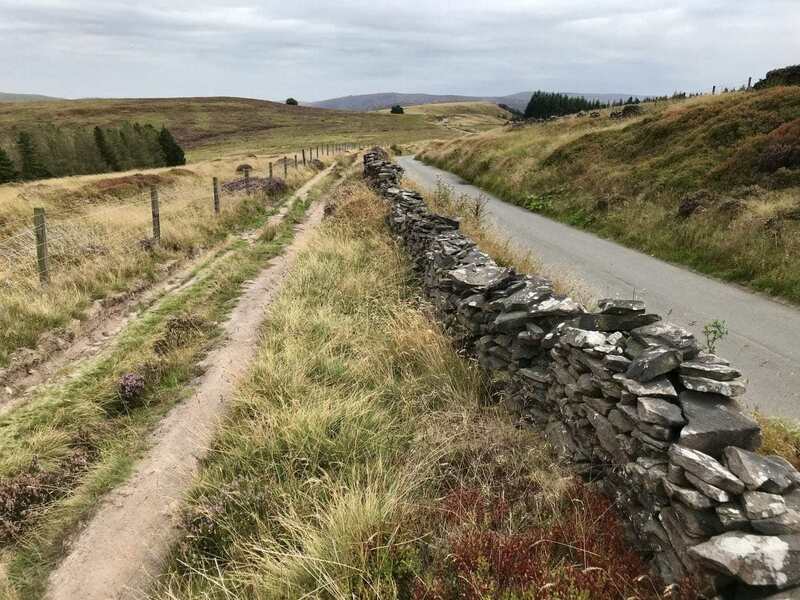 Very soon you will reach a gate in a stone wall, again signposted to Windgather, and cross a small road, continuing through a gap in the wall directly opposite. Once through the wall turn immediately right, no longer following the signs to Windgather. Keep the wall on your right hand side, and follow the path as it tracks to the side of the road. When you see a lay-by on the opposite side of the road, go through a gap in the wall, cross over the road and look out for a gate with a finger-post to Errwood. Continue on this grassy path until you reach a fork in the route. Take the left hand fork up the hill, signposted to Foxlow Edge. At the top of this small hill the path continues through a section of broken-down wall. Continue with the wall on your right hand side, with views of Errwood Reservoir and its sailing club to your left. Errwood Reservoir lies on the border between Derbyshire and Cheshire. Opened in 1967, it provides drinking water for the town of Stockport and surrounding areas, along with the adjoining Fernilee Reservoir. Continue on the path signposted towards Errwood as it descends down into woodland. Follow the path as it bears left, keeping a fence on your left hand side, and soon afterwards look out for a set of rough steps on the right hand side. Turn right off the main path and follow the steps down, to continue tracking through this beautiful area of broad-leafed woodland. At a further finger-post, continue in the same direction down more steps, signposted towards Errwood and Stakeside. 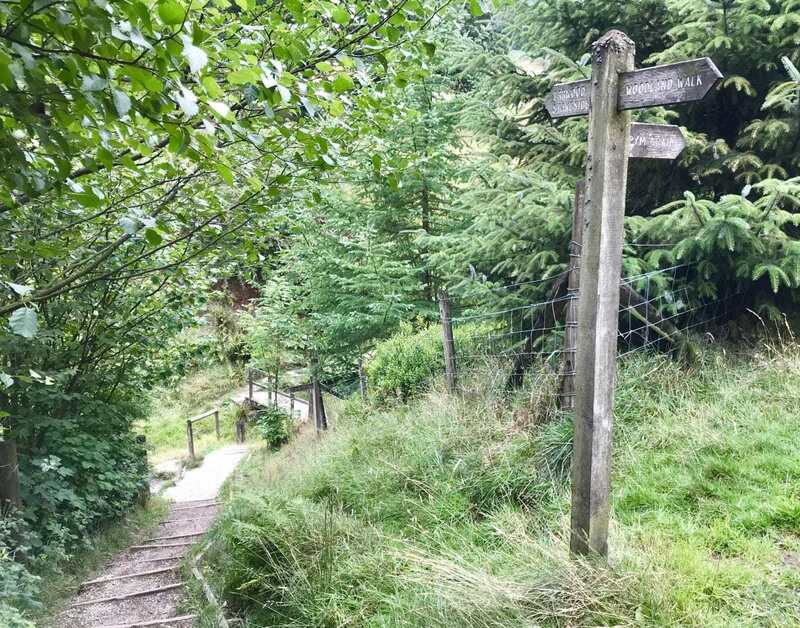 At the bottom of the steps turn left before crossing the river, and follow the path signposted to Errwood Hall. This lovely path continues through a shady glade, crossing the river via a wooden footbridge, before emerging into a clearing dominated by the ruins of Errwood Hall. 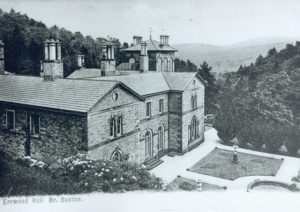 The once-magnificent Errwood Hall was built around 1840 by a wealthy businessman named Samuel Grimshawe, and demolished in 1934 to facilitate the building of Fernilee Reservoir. 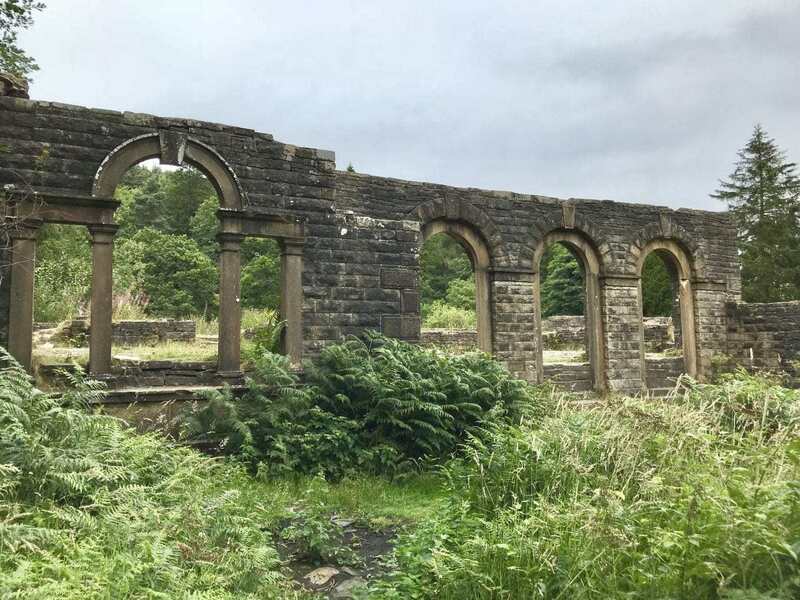 The estate consisted of over 2,000 acres, including a number of farms, a school, a private coal mine, and even the Cat & Fiddle Inn from where the walk began. Continue on the path, keeping the ruins of the Hall to your right, until you reach a T-junction. At this point turn left and follow the broad path through trees. Pass through a green metal gate at the end of the path and take the right hand fork. This path gives you further beautiful views of Errwood Reservoir over the stone wall to your left. At another junction in the path, take the route up the hill signposted Stakeside. The views back towards the Reservoir as you climb are well worth pausing for. 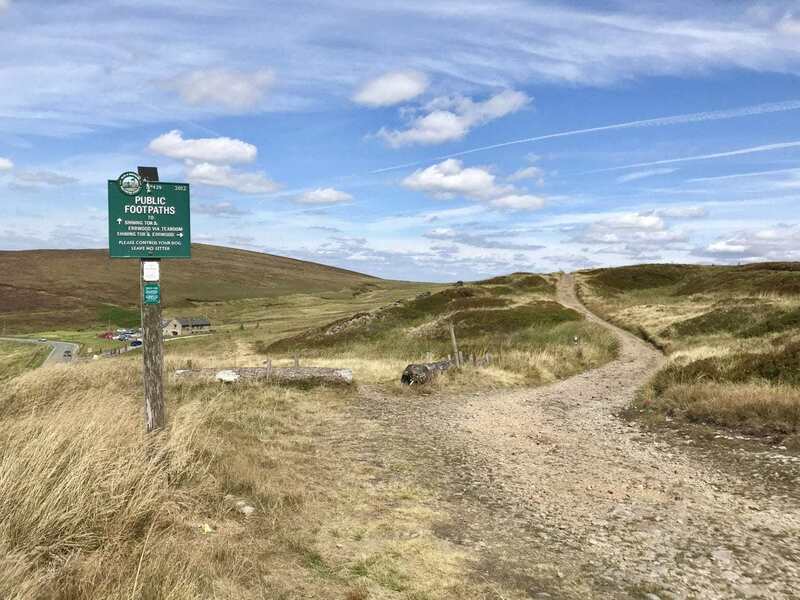 At the end of this path, turn left through a gate and follow the signposted trail all the way back to the Cat & Fiddle, to meet up with the start of the walk.